Today, I was excited to get a special delivery from Disney Springs! I received a cute pizza box with a shirt and pins, plus an invitation inside. There’s a pop up event coming to Disney Springs soon, here’s the scoop! Something hot and fresh is cooking at Disney Springs. 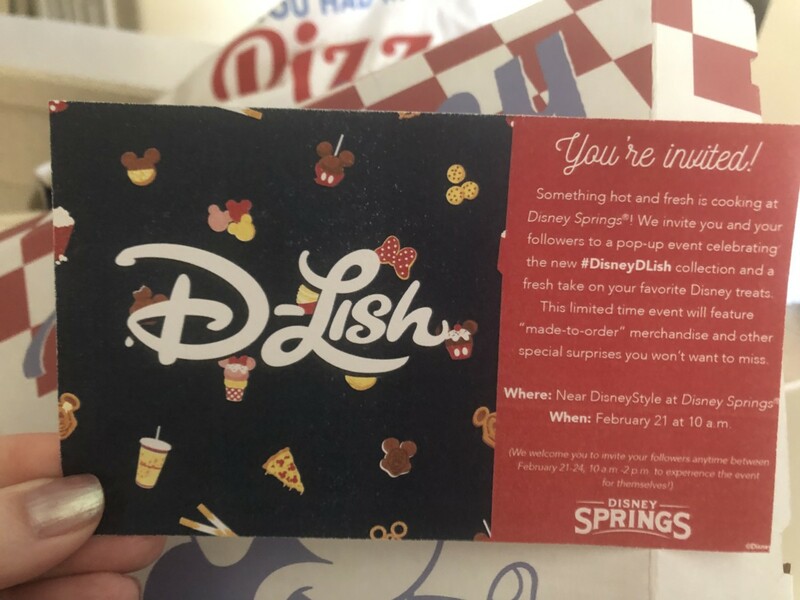 We invite you to a pop up event celebrating the new Disney D-Lish collection and a fresh take on your favorite treats. This limited time event will feature “made to order” merchandise and other special surprises that you won’t want to miss! Where – Disney Springs near the Disney Style store! When – February 21 at 10am! This event runs February 21-24, 10am ~ 2pm, so you have time to enjoy! 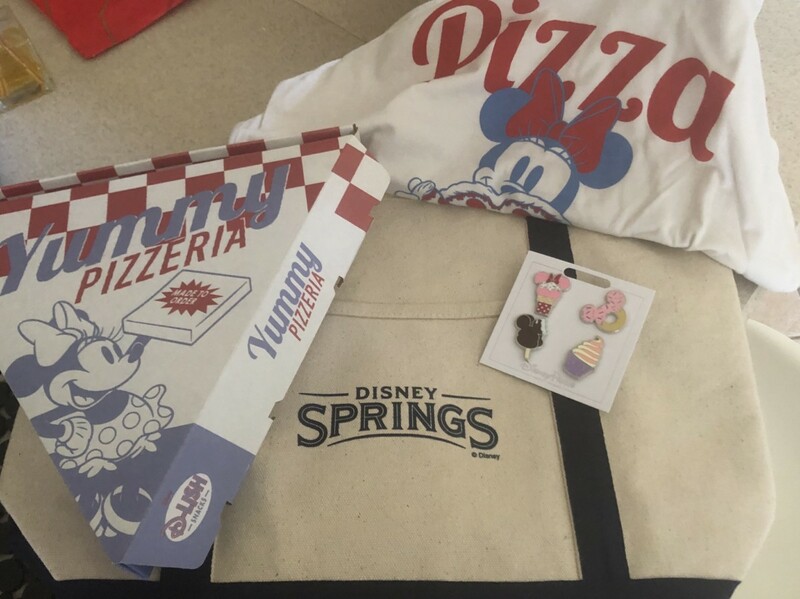 A big thank you to Disney Springs for the package and information. I know I’ll be there for the fun, I hope to see you there!